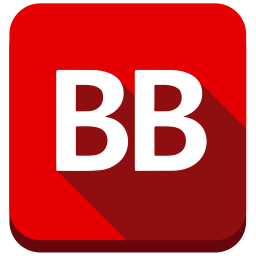 You can also link up weekly on Readerbuzz. I knew last week was going to be a busy week but I missed an event on Tuesday that I was looking forward to because my body just wouldn’t cooperate. I mentioned last week how the weather changes were affecting me. To celebrate National Library Week new cozy author, Holly Quinn was going to be at the library where my sister works Tuesday night. She and I planned to go together. Well by about noon on Tuesday I had to admit I was not going to be able to leave the house. My left ear was still plugged and truthfully it felt like my whole body was congested. My amazing sister still went to the event and had so much fun. It isn’t often cozy authors are in this neck of the woods, so I am sad I missed this opportunity. Holly does live in Wisconsin, so I hope I can attend one of her events soon. By Thursday, I was feeling a bit better, which was good because grandson, Remington’s Spring Concert was that night. For the record, the nice weather from last week was gone, snow on Wednesday, cold, wind, and rain on Thursday, so the only place Spring could be found was in the high school gymnasium. The concert was for Kindergarten through 3rd grade. There were more than 100 kindergartners on that stage and it was hard to pick him out from the masses, so I grabbed him for a picture on the way out. The kids all did a wonderful job. It just amazed me that I graduated from that school almost 40 years ago and not too much had changed. That is both a good thing and a bad thing. Great for memories but there are a lot of people in the community questioning if the facilities are meeting student needs. With grandkids in the district, this is something I will be following. That brings us to Event #3. Natalie’s Dance Recital and Birthday Lunch. Again at my old high school. After months of practice, the kids took to the stage to dance to the Greatest TV Show theme songs. All the dancers started off the show dancing to the theme from The Greatest Showman and then her group danced to The Dukes Of Hazard and Kacey Undercover theme songs. After the recital, we picked up the grandsons (Daughter #1 had to work 😥 ) and went to a local restaurant for an early birthday lunch for Natalie because her mom has a surprise getaway planned for the weekend after her birthday. It was great that Mr. Dollycas’s mom joined us for both the recital and the lunch too. I also was able to visit with a woman I used to work with before my accident at the recital during the short intermission. That really made my day. Google+ will only be up a few more days. The social network is set to self-destruct on April 2. I didn’t sign up right away, Google and I had our issues years ago when they locked me out of all my accounts for 8 days for violating some never explained Terms of Service. It ended up being a good thing because I transferred my blog to a self-hosted WordPress situation and that opened up many new possibilities. After adding some safeguards I ventured back into Google for some of their other products. Thankfully, it is only the social network going away. Gmail, Google Docs, Maps, Photos, etc. are not affected. Of course, many people are both on Facebook and Google+like me but I “met” and followed different people there too. Not just bookworms like most of the people I follow. I followed one woman, a real estate agent in Arizona who shares the most beautiful homes she has listed. They are way out of my budget and far away from Wisconsin, but the pictures are gorgeous. Homes to dream about. I follow a man that posts updates about what is coming and leaving NetFlix and Hulu. I find his posts entertaining and informative. I also have found some great recipes there, again with wonderful images. Some photographers share their work too! But most of my newsfeed is full of book posts from every genre imaginable. My wish list has grown due to many of the books I have found there. I loved the 3-column format and the absence of ads everywhere. 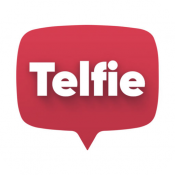 Not having all the ads was probably the reason this social network experiment is closing. From reading the recent Google Help posts I also see that many people didn’t even know that had a Google+ until they received the email telling them it was closing so maybe promotion was part of the issue too. I know a lot of people didn’t understand that Google+ was a separate feature and they didn’t read the notification clearing thinking the whole Google Corporation was closing and that they were losing their blogs, their Gmail, their YouTube videos and all the photos they had saved on their phones. IT IS JUST THE SOCIAL MEDIA NETWORK CLOSING DOWN. None of those other things are affected. With the social media network closing, it does affect commenting and sharing on blogs though. That feature has been gone for a few weeks already. So what’s next? Who is going to fill the void left by this action? Do we just stick with Facebook? Or do we search for something new? I have been trying out MeWe. 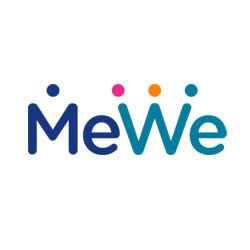 MeWe calls itself the “alternative to Facebook”, and emphasizes its commitment to privacy over generating revenue and many G+ members are trying out the ad-free site. The site is still evolving but it has been seeing a rapid growth according to press releases. I joined a few weeks ago and joined the bookish groups as well. But according to my contacts lists that were transferred not many of my friends belong to MeWe and because of their high privacy setup it is hard to find friends. I believe I am the only cozy mystery lover posting in the book related groups. The site is very chat based and that is just not for me. I like to scroll and comment and read posts. I have shut that feature off. But with only a few friends my NewsFeed is basically filled with only my posts. You are given the option to share the posts with your contacts or share them publically. I have been sharing all of my posts publically and hoped others would do the same. If they are, they are not showing up in my feed at all. Maybe I am missing something, I am learning my way around. So for me, this is an experiment. Without contacts there, I don’t see the point of just posting for myself. I have added following me there as a bonus option for my giveaways, but please don’t join MeWe because of me. If you are on there find me! https://mewe.com/i/loricaswell I’ll and we’ll see how it goes. I will revisit this topic in a few weeks. Hope the sun shines down upon you today! Mr. Dollycas and I have been married for almost 36 years. During that time we have evolved from having about 5 television stations to hundreds along with NetFlix, Hulu, and all the other options including the ability to record while watching other shows. While we do enjoy a variety of similar shows the last few years I have realized I can’t watch t.v. in the same room as him. The man can’t watch a commercial to save his life. He channel surfs or flips between 2 or 3 shows. Someones during this flipping we miss key parts of the show we were originally watching. So to keep us blissfully happy 🙂 He has full control of the television in the living room and I have full control of the television in the bedroom. The only time this changes is when the grandkids are here, but this weekend, that changed. You see I made what could have been a major purchase but because of a sale and a gift card, I couldn’t resist. The television in the bedroom was a hand me down from Daughter #2 to replace an old big box television we had had for years. It worked fine except the sound wouldn’t get loud enough. That was fine for me because I could shut the bedroom door and I was thrilled to have a flat screen. At Christmastime, I saw a television on Amazon for a great price but wanted to spend my money on presents for the family, not myself. I put the television in the cart and left it there and watched the price change several times, always higher and higher. On Wednesday, I saw the message that there were prices changes to items in my cart. OMG, the t.v. was on sale lower than at Christmas. I assume this is because there are new models for 2019, but I didn’t care, it was a “smart” television with Kindle Fire and easy access to Amazon Prime Movies, NetFlix, Hulu and more. I debated with myself for a few hours then I pulled the trigger and placed my order about 5 p.m. I also had a $50 Amazon gift card I was going to use for books, but I couldn’t pass up this deal. The t.v was/is on sale for $99, with the service plan the new t.v. cost me just $57. It arrived on Friday (Super Fast Shipping) and Daughter #2 helped me to get it set up and learn about the features and the remote. It was super easy and the sound works wonderfully. The picture is much better too! I also love that it has Alexa. We then moved my old flatscreen to our spare room and have hooked the Xbox to it for the grandkids games along with cable so they can watch all their shows. (A blessing that the sound is lower.) This also means we can have dual family movie nights if we wish but they will probably still happen in the living room. Mr. Dollycas and I do watch a movie together occasionally. We watched Bohemian Rapsody a couple of weeks ago and enjoyed it very much. This only works because there are no commercials 🙂 I was smiling ear to ear last night as he channeled surfed and I watched Book Club . I am live tweeting during the movie tonight! Are you ready for more Alison Sweeney and Benjamin Ayres? The latest edition of Alex McPherson’s true crime podcast leads her and the Chronicle staff to nearby Macklin, where they investigate a death ruled as an accident by the local police. Before Alex can get to the bottom of what she feels was a murder, another member of the family is felled by a bullet. She and her colleagues soon amass a formidable roster of suspects, all of whom had the motive and opportunity to commit the crimes. Starring Alison Sweeney and Benjamin Ayres. on the Hallmark Movies and Mysteries Channel! I will be live tweeting during the movie! Did you miss the first two movies in this series? You can catch up on Sunday! Mr. Dollycas finished up his second week back to work strong. For the first time in years, he says he is without pain except for a little stiffness in his back. The nerves are regenerating and he is gaining feeling back in his legs and feet. He is no longer wearing his back brace at the home or office. Still using the walker but getting stronger every day. He is excited for Spring so he can get out and walk like he used to. I just wish I could walk with him. We used to walk at least 2 miles a day together prior to my accident in 2001. Anyway, he came home from work on Friday and told me he had a special visitor at work. From the way he was talking I thought someone brought their dog into work. As I was leaving my desk he said, “Did you see my picture on Facebook?” I hadn’t so I brought up his page and this is what I saw…..
Had a visitor stop by the office this afternoon as I completed my 2nd week back to work. Not nearly as creepy as it looks at it is a very friendly and just loved to snuggle up on me to keep itself warm. It is a bearded dragon that as long as I petted it lightly downward over her back would have stayed there indefinitely. Thanks, Maggie for sharing Whiz with me! Plus – Hallmark Movies & Mysteries – CHRONICLE MYSTERIES: THE WRONG MAN – Premiering this Sunday, February 24th at 9pm/8c! @dollycas #ChronicleMysteries #Sleuthers @HallmarkMovie I will be live tweeting tonight! I am a HUGE Alison Sweeney fan. I love her on Days Of Our Lives ! I loved her in the Murder, She Baked Movies on Hallmark and every other movie she has been in. I am so excited about this new Hallmark Mystery Series. I am a HUGE Alison Sweeney fan. I love her on Days Of Our Lives ! I loved her in the Murder, She Baked Movies on Hallmark and every other movie she has been in. I am so excited about this new Hallmark Mystery. Alex McPherson (Sweeney) returns to the small town in Pennsylvania where she spent her summers as a girl to record the next episode of her true crime podcast, about the disappearance of a childhood friend 20 years prior. However, after teaming up with the local newspaper editor (Ayres), who reluctantly agrees to help her retrace the girl’s last steps, Alex not only uncovers the shocking truth behind the girl’s disappearance, but also a decades-old murder and its cover-up. Starring Alison Sweeney and Benjamin Ayres. This book was on my Best Reads of 2018 List! It is FREE right now on Amazon! (Kindle)!!!!! That’s a lot of dead bodies for a girl looking for a week’s relaxation in Cabo. And, I’m probably leaving a few out—math isn’t my thing. Unless I can escape the cartel, I might be the next dead body. Don’t wait!! Order your copy RIGHT NOW!! I am not sure how long this price will last! Back on January 9th, Tracy Weber was my guest for Cozy Wednesday. She shared with us how the closing of her publisher Midnight Ink was affecting her and that the future of her Downward Dog Series was uncertain. Yesterday she shared exciting news in her newsletter and with her permission, I am sharing it with you today. Some of you already know this, but my publisher, Midnight Ink, is going to stop publishing new mysteries effective this summer. This has left me in limbo-ville about what would happen with my Downward Dog Mystery Series. This week, I got at least a partial answer. Midnight Ink has agreed to give me back the rights for the first four books in the series. Books five and six will remain with them, at least for now. I’m optimistic that they will release those rights as well in a year or so. Basically, I can continue to write and self-publish the series. I could also try to sell it to a new publisher, but that is unlikely until I own the entire backlist. I’ve decided to start by self-publishing the first couple of books to gauge interest in the series. I have also started a novella (book 6.5) and I will likely self-publish it. This novella will tie together this series and a spinoff series I’m planning to write starring Rainbow, a new character in Murder Likes It Hot. This is all essentially good news, but there’s a downside. Within the next couple of weeks, Midnight Ink will declare books 1 – 4 “out of print,” meaning that until I self-publish them, they will be unavailable. There are still print copies at retailers, but the e-versions will disappear. I do plan to republish them with new covers and some editorial changes, but doing so will take time. The e-books are on sale, so you can get them mega cheap, if you buy soon. I also plan to purchase some paper copies to have in stock personally. You can purchase an autographed copy of any of my books from me directly at this link. Don’t wait, though, because when these copies are gone, they’re gone! E-book readers and Amazon lovers, follow these links to get books 1 – 4 while you can! And of course, the most recent two books are still available. As always, Ana and I appreciate your support! THANK YOU! I am so happy this series can continue and you can see that if you are new to this series this is the perfect time to jump in and join the fun with Kate and Bella. Don’t wait! Just click on the links or book covers to order your copies today! Let me Clear My Shelf and Stock Yours! 1 person will win all these paperbacks! To plot or keep track of all your Book Escapes!